Are you personally liable for damages arising from the actions (whether negligent or intentional) of your employees? If one of your employees, during normal business hours, causes a serious accident while driving a company vehicle, are you (personally) liable for the damages/injuries? Are you personally liable for your business’ accounts payable to vendors, or loans from creditors? The answers may depend, on your company’s books and records. In virtually every state, the law provides that if the owners of the company do not follow general business protocols creditors (including people who file lawsuits) can “pierce the veil” and attribute personal liability to the owners of the company. The existence of a company Minute Book. This is the repository of the company’s records. It normally will contain not only minutes of meetings, but also stock or membership unit ledgers. The existence of Bylaws or an Operating Agreement. These documents normally address issues of business governance (including, but not limited to: who votes, the issues on which votes are taken, and how votes are counted), as well as tax issues. These documents may address relationships among the owners (buy/sell; rights of first refusal, transfers on death), but these issues are often addressed in separate documents. The issuance of Stock or Unit certificates. These are tangible evidence of business ownership. Most commonly the number of shares/units is less important than the percentage of ownership of the total outstanding shares/units. Not all shares or units need be exactly alike. For instance: there could be non-voting owners who share in the economic returns, but have no “voice” in the management of the company (“silent partners”); or certain owners may have a right to a preferential return (either as to income or as to liquidation, or both). Minutes of shareholder/member and director/manager meetings. Anything “material” (i.e. important and/or significant) should be documented in minutes. Determination of what is “material” will vary from business to business. Elections of directors/managers should be documented (particularly if there is a change of directors/managers). Meetings need not be held in person, or face to face. Telephonic, and/or e-meetings are becoming increasingly common. Resolutions affirming, authorizing, or directing, an action can be adopted without a meeting is the resolutions are contained in a signed document. Filing of all applicable tax forms on a timely basis. Absence of co-mingling of funds of the business and the owners; absence of payments of the owner’s personal expenses with company funds. In short: if those who own and manage the business ignore business formalities, the law will ignore the separate existence of the business entity. Shareholder and director meeting minutes in the case of a corporation; member and manager meetings in the case of a limited liability company. What happens if you (or a co-owner of your business) die, become disabled, decide to retire, or have a HUGE disagreement on a business decision? A properly structured buy/sell agreement could provide the answers. Buy/sell agreements can either be structured as an agreement by and among co-owners (a “Cross-purchase”), as an agreement between an owner and the business itself (a “Redemption”), or as a combination of the two (if the other owner or the company does not buy the other will, sometimes called a “Wait and See”). The best type of buy/sell agreement of any particular business often depends on the classification of the business for tax purposes , the form of funding of the agreement as well as the nature of the business itself. •	may buy the selling owner’s interest . “Triggering Events” can include, but are not limited to: the death, disability or retirement of one or more of the business owners. A business disagreement could also be a triggering event, as could one (or more) owners seeking to “buy out” the other owner(s). Buy/sell agreements which take effect in these situations have the result of resolving business decisions via the purchase/sale of the interest of one (or more) of the parties. •	If the Non-owner’s proposal is “taken” by the insiders, the Non-owner will be dissatisfied because they didn’t get the benefit of their bargain; they simply made a “deal” for someone else. •	A capitalization of earnings. Terms of payment of the purchase price are also a topic for consideration. Payments can be set up in installments or paid in a lump sum. Often in the case of a buy/sell agreement which is triggered by death or disability, the payment terms are designed to coincide with the terms of insurance policies purchased to “fund” these payments. A properly drafted buy/sell agreement can address difficult situations before they jeopardize the future of the business. Your life insurance may mess up your estate plan. Life insurance is a key element of most estate plans, but an improper, or ill-considered beneficiary designation, can ruin the best of plans. Upon your “passing”, life insurance proceeds, are paid pursuant to the exact terms of the policy, that is to say, the insurance company provides the proceeds to whoever you designate as the beneficiary of the policy. If a spouse is named as the beneficiary, and the spouse survives, the life insurance proceeds will be part of your taxable estate BUT the proceeds will qualify for the marital deduction. Therefore, no estate tax will be generated by life insurance proceeds paid to a surviving spouse. Upon ANY change in your marital status, whether as the result of a divorce, or a marriage, you should contact your insurance agent to make sure your beneficiary designation is still accurate. An “ambiguity” (and a very awkward familial situation) can arise if “my spouse” is designated as the beneficiary and your “surviving” spouse is not the same person who was your “spouse” at the time you bought the policy. If your spouse does not survive you, or, if you name a child (or children are) as the beneficiary (beneficiaries) on your life insurance policy, there could be significant problems. In many cases, a properly drafted Will contains provisions for the establishment of a trust for the benefit and protection of beneficiaries, and to prevent the beneficiary from squandering the funds at a young age. HOWEVER, if your children are individually named (example: Sam and Becky in equal shares) or collectively named (example: “My Children in equal shares”) as the “contingent” or “secondary” beneficiary or beneficiaries (they receive the proceeds if there is no surviving spouse), they will receive the insurance proceeds when they reach “legal” age – REGARDLESS OF ANY TRUST CREATED BY YOUR WILL. Another problem can occur if there are children who are born AFTER the beneficiary designation. If your beneficiary designation is “My Children: Sam and Becky” as the contingent beneficiaries, what does that mean for Jeff, your son, who is born three years after you bought the policy, but there has been no change of the beneficiary designation? 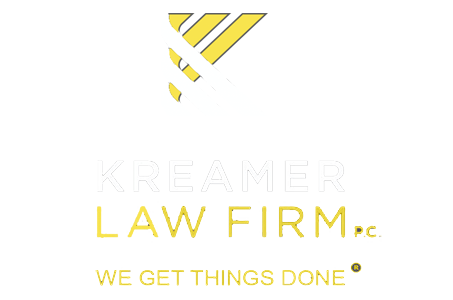 First, you need a properly drafted and fully executed will which reflects your intentions; including, but not limited to, any trust to be created to protect your family members. Second, check with your insurance agent to make certain that the beneficiary designation will be in harmony with your estate planning objectives. 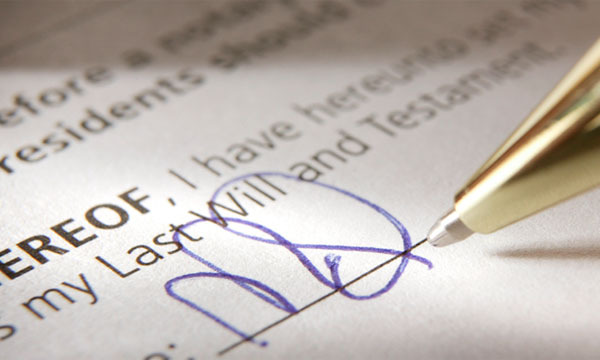 This may require you to change your contingent beneficiary designations to: “the Family Trust created by my Will”; or “my Estate” rather than “my children” or naming the children themselves. Finally, review your Will and beneficiary designations on your life insurance every few years. If you have not reviewed your Will and/or the beneficiary designation on your life insurance in a few years, you should do now. An improper, ambiguous, or out of date beneficiary designation could cause your life insurance to mess up your estate plan instead of meeting your objectives. The Proceeds will be held in a conservatorship, until the beneficiary reach the “legal” age. The conservator is a court appointed and supervised individual or bank who invests the proceeds, and makes payments, for the benefit of the “ward”. “Legal” age (the age when an individual is no longer a “minor”) varies from state to state. In Iowa this is age 18.